Uh oh – you’ve noticed your cat vomiting. Is it nothing to be worried about or should you call your vet right away? There are actually a number of reasons your feline could be vomiting, with some causes being more serious than others. Knowing exactly why your cat is vomiting can be difficult. But narrowing down the explanation can determine whether or not they need to be seen by a vet. Luckily, some clues can be gleaned from what exactly your cat vomiting looks like, how often it is, and other variables. In order to give you some idea of the reasons your cat might be vomiting, here are some of the most common triggers. Whenever you discover your cat vomiting a lot, or for a reason you’re not absolutely sure is benign, of course we recommend contacting your vet. 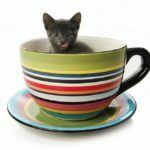 Is your cat throwing up food? Occasionally, a feline might vomit food simply because of their diet. Cats can have food sensitivities, which can cause them to vomit. 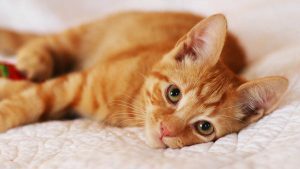 If your cat vomits after eating or right after you’ve switched their diet, it is likely that their body is having difficulty digesting the food, which can cause vomiting. 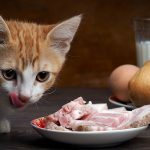 If this seems to be the case, you might want to try going back to your cat’s old food and consult your vet about the safest way to transition to a new diet. While it could be nothing to worry about, cats will also vomit after eating if they have an impaction or a foreign body lodged in their throat. This requires veterinary attention. Vomiting food can also be a sign of Inflammatory Bowel Disease (IBD). Cats with IBD have a thickened (inflamed) gut lining, which interferes with digesting food properly, resulting in throwing up. 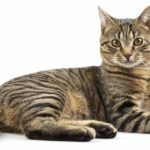 With patience and a little trial and error, it is likely that your vet can help you effectively manage feline IBD so that your cat’s symptoms remain at a minimum. Another reason your cat might be vomiting their food is because they simply ate too fast. If you only feed your cat once a day, you might want to try spreading their meal out to two times or even three times a day. This limits the amount of food they get with each meal and ensures that they don’t eat too much food too fast. Just like any animal, some cats are just prone to overeating and gobbling their food up too quickly. A slow feeder bowl like this one from The Company Of Animals can help an enthusiastic eater to pace themselves at mealtimes. Smart cats who crave a challenge might also enjoy an interactive food-retrieval toy like this food tree from Catit. Of course, just like with everything, we recommend taking your cat to the vet if their throwing up begins to happen often or happens several times in a row. Your vet can determine whether or nor your cat might have a more serious condition and help you prevent your feline from vomiting in the future. If your cat begins to vomit blood, it is a whole different situation altogether. Sometimes, it can be hard to figure out if your cat is actually vomiting blood or not. Blood from the upper portion of the digestive tract will appear bright red and is pretty hard to miss. Blood from the lower intestines, however, will look more like coffee grounds because it is partially digested. Because of this, it is extremely important to see your vet so they can help you determine the exact cause. It is impossible to figure out why you cat might be vomiting blood at home, while your veterinarian can run all sorts of tests to narrow down the cause. You cat vomiting blood could be the result of something as simple as a fur ball, to something as deadly as poisoning. It is absolutely necessary to get them checked out. Much like blood, finding bile in your cat’s vomit can be a sign of a number of problems. Cats might vomit bile because of a hairball, or it could be because of a kidney problem or infection. From home, it is just really hard to tell the exact reason, which is why we once again recommend taking your cat to the vet in this situation. While it could be nothing serious, there is always a chance that it could be an underlying disorder. For many things, early diagnosis and treatment is important. It is always better to be safe rather than sorry. Cats usually throw up a foam-like liquid when their stomach is empty but something is causing them irritation. It is probably nothing to worry about if it happens just once. Cats get stomach aches just like us, after all. However, if it happens multiple times, frequently, or you begin to notice blood in their vomit, it is important to take notice and act. A cat vomiting foam can be caused by poisons, which need to be treated quickly. This is especially the case if the vomiting is accompanied by other symptoms. Vomiting foam can also be caused by a blockage, infection, or even a UTI, all of which require veterinary treatment. If your cat is throwing up a lot, it is important to get them seen by a vet so the underlying cause of their vomiting can be addressed. Your vet will use your cat’s medical history and lots of questions about their recent diet, whereabouts and activities, to narrow down what’s making them ill. If you think your cat is being sick because of something they’ve ingested, take it with you to show the vet. If it seems a food sensitivity or IBD is making your cat sick, there might be a period of testing food exclusion diets, to find the ingredient(s) your cat is sensitive to. In some cases your vet might recommend anti-nausea medication to stop your cat vomiting a lot. For example, they might suggest a medicine called Lorazepam to reduce vomiting caused by dizziness or motion sickness. And another drug called Nabilone might curb vomiting brought on as a side effect of medical treatments. As you can see, cats vomit for all sorts of reasons. 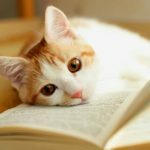 While we can look at the exact consistency and timing of your cat vomiting to gleam some idea of why they might be throwing up, we cannot give any definitive answer by simply looking at your cat’s symptoms. Lots of cats throw up occasionally for completely harmless reasons. If your cat is throwing up food but acting normal, and it doesn’t happen often, it could be nothing to worry about. But if you catch your cat throwing up repeatedly in a shot space of time, or they have other symptoms of illness as well, we recommend making an appointment with your vet. If you’re not sure which camp you’re in, call the vet’s clinic anyway and ask for a telephone consultation. Your vet will be happy to listen to your concerns, and either put your mind at rest, or invite your cat in for a more thorough examination. Happily, many of the reasons for a cat throwing up are resolvable or manageable, so the mess and worry are likely to be short lived. Does Your Cat Have a History of Being Sick? Ragaini. “Inflammatory Bowel Disease Mimicking Alimentary Lymphosarcoma in a Cat.” Veterinary Research Communications. 2003. Guilford. 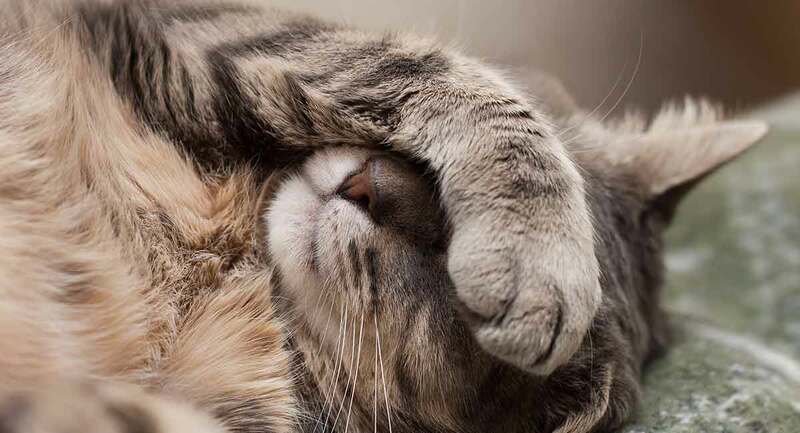 “Prevalence and Causes of Food Sensitivity in Cats with Chronic Pruritus, Vomiting or Diarrhea.” Massey University. 1998. Borison. “Vomiting, hypothermia, and respiratory paralysis due to tetrodotoxin (puffer fish poison) in the cat.” Toxicology and Applied Pharmacology. 1963. Lucot, James “8-OH-DPAT suppresses vomiting in the cat elicited by motion, cisplatin or xylazine.” Pharmacology Biochemistry and Behavior. 1989. London, Stephen. “Suppression of Cancer Chemotherapy-Induced Vomiting in the Cat by Nabilone, a Synthetic Cannabinoid.” Experimental Biology and Medicine. 1979. Cornell Feline Health Center. “Inflammatory Bowel Disease”. 2018.